Aliens have come to Earth. Not in war, and not particularly in peace, but with a business deal: open up a spaceport here on Earth in exchange for advanced technology. But when our alien visitors break Port restrictions and wreak havoc in our cities, it falls to the newly formed Earth Security Agents to hunt down and safely deport the dangerous rogue aliens back to the Port of Earth. 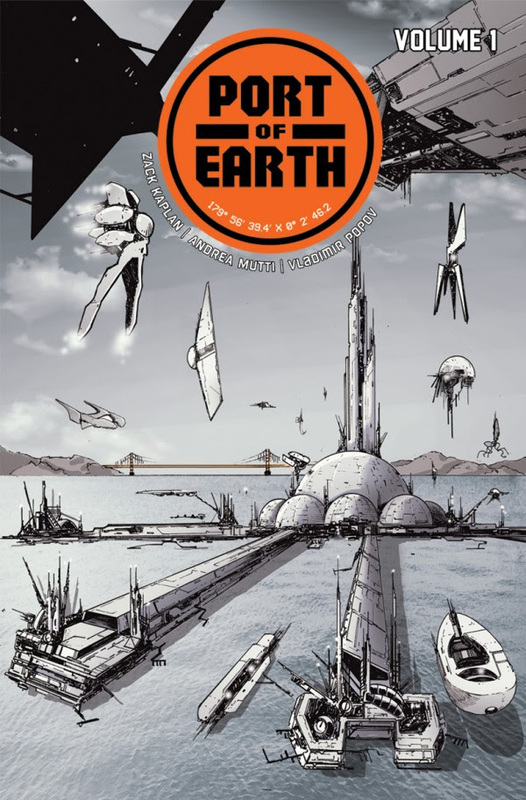 PORT OF EARTH, VOL. 1 (ISBN: 978-1-5343-0646-2, Diamond code: JAN180689) hits comic book shops Wednesday, March 14th. The final order cutoff deadline for comics retailers is Monday, February 5th. PORT OF EARTH, VOL. 1 arrives in bookstores Tuesday, March 20th, and is available for pre-order via Amazon, Barnes & Noble, Indiebound, Indigo, and Books-A-Million.